It’s finally here. 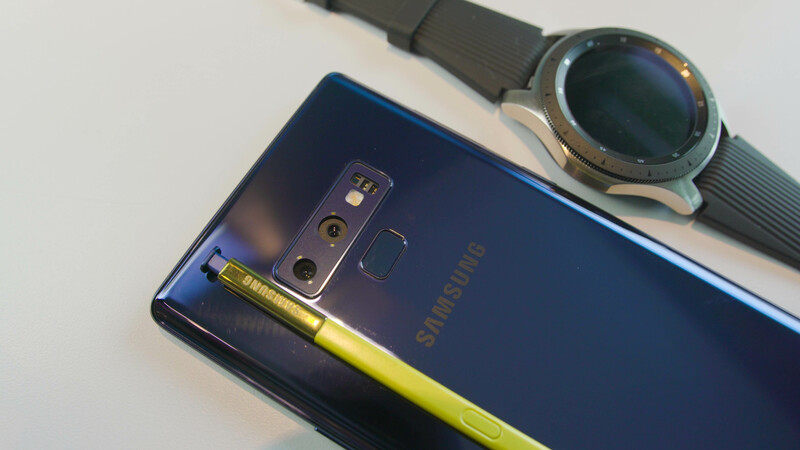 The Galaxy Note 8’s successor and Samsung’s most powerful smartphone to date, the Samsung Galaxy Note 9. It sports a familiar look but with beefed up specs and enhanced features. But does it have enough to convince Note 8 and S9/S9+ users to upgrade? Find out in our review. 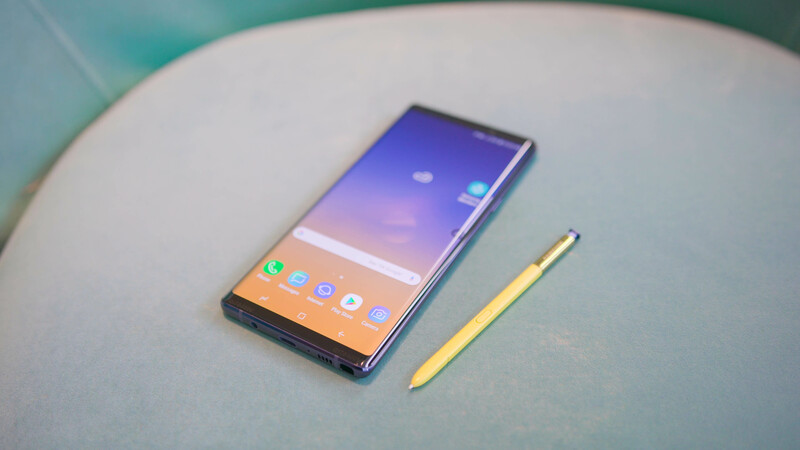 The Galaxy Note 9 sports an almost similar design as its predecessor, the Galaxy Note 8. It’s still large, with a rectangular look, curved glass in the front and back, and a metal frame with a matte finish instead of glossy. It’s still premium, feels sturdy and cool to the touch, but a bit hefty. 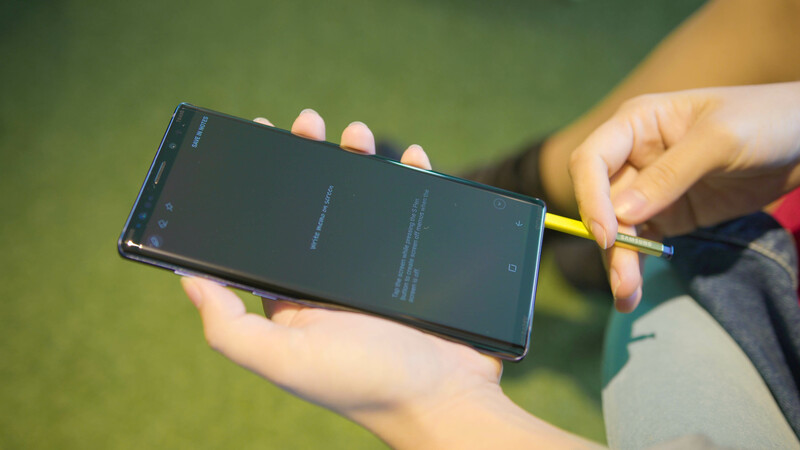 Despite the huge size, the Note 9 is still easy to grip, thanks to its relatively thin body with tapered sides. The physical buttons, though, namely the Bixby, Volume, and Power/Lock, are placed higher so it can be quite a reach if you have smaller hands. The same can be said when navigating the tall screen and will require you to use both hands especially if you want to reach the top parts. 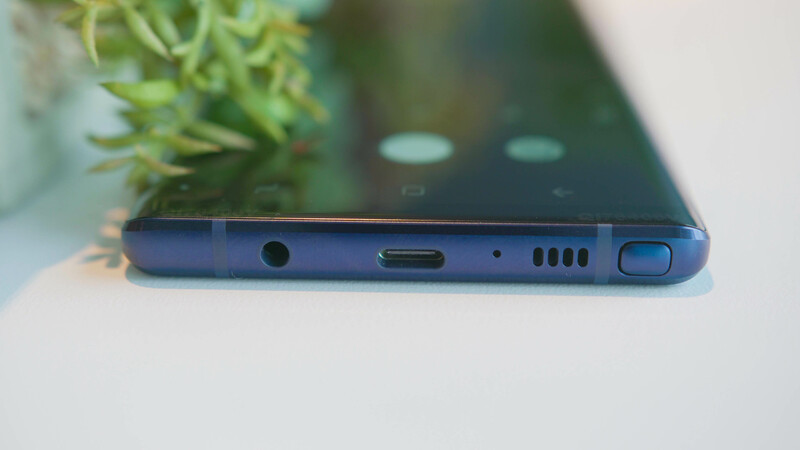 The button and port placement are still in the same place as the Note 8. On the front are the earpiece, camera, and sensors, while at the back are the dual cameras, sensors, and repositioned fingerprint scanner. The volume and Bixby buttons are on the left, while the power/lock is on the right. 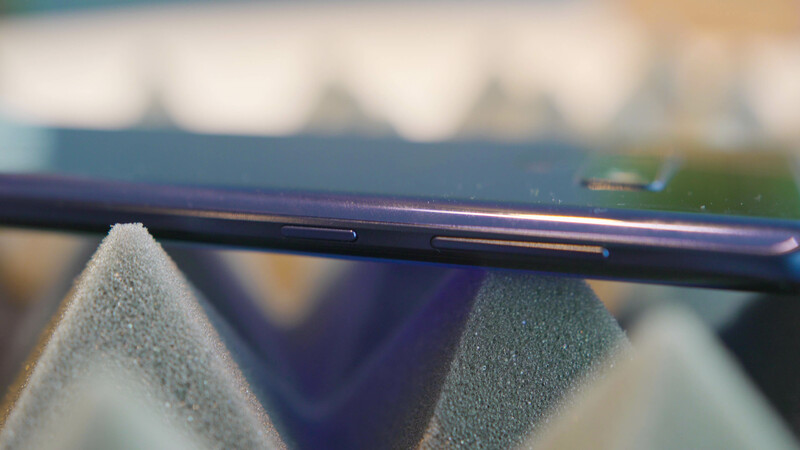 The secondary mic and SIM tray are on top, while the 3.5mm audio port, USB Type-C port, main microphone, loudspeaker, and S-Pen are at the bottom. Speaking of the S-Pen, it has the same dimensions as the Note 8’s but with a smaller button. It is now Bluetooth-enabled, can be used as a remote camera trigger, and comes in different colors depending on the model. Like with the most recent flagship Galaxy devices, the Note 9 features IP68 dust and water-resistance that allows it to be soaked in water in a depth of 1.5 meters up to 30 minutes. Although the feature is starting to become more common in flagship devices, it’s still good to know that the Note 9 can handle accidental spills and splashes and keep dust at bay. 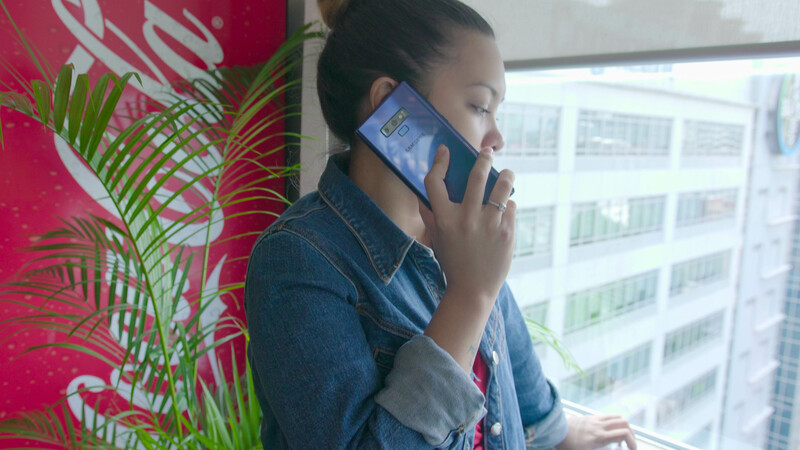 The Galaxy Note 9 is equipped with a 6.4-inch Super AMOLED 18.5:9 display with maximum resolution of WQHD+ (2960 x 1440) which is equal to a pixel-packed 514ppi. As expected, quality is great for viewing photos, watching videos, and gaming. The colors are punchy and the screen is also vibrant enough for outdoor use. The screen is also large enough for split-screen multitasking and pop-up view action. Samsung also allows you to change the screen resolution to HD+ (1480 x 720) or FHD+ (2220 x 1080) which is handy if you want to save power. 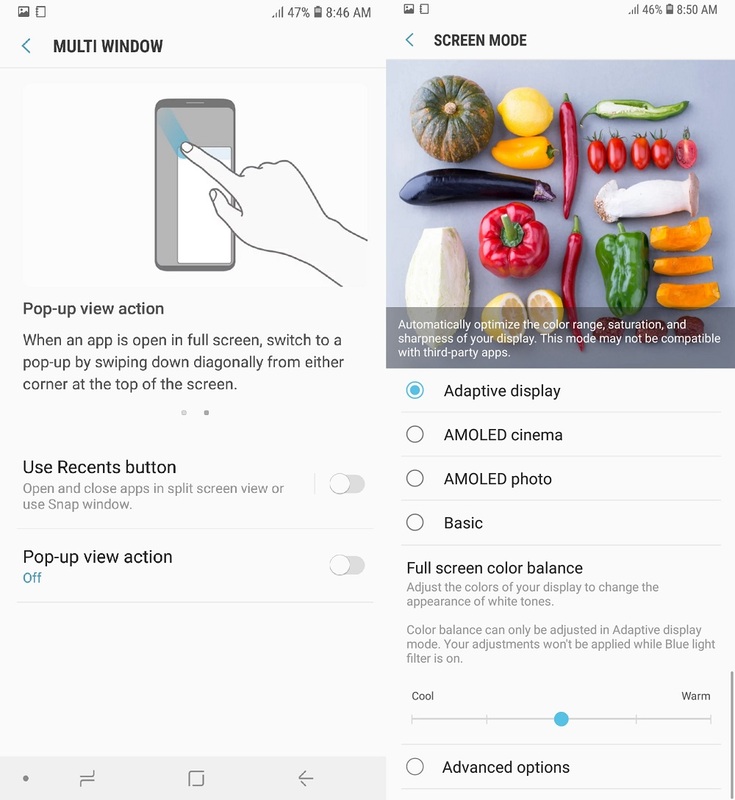 You can also change the screen mode based on your preference: Adaptive, AMOLED cinema AMOLED photo, and Basic. Color balance is also available for tweaking. 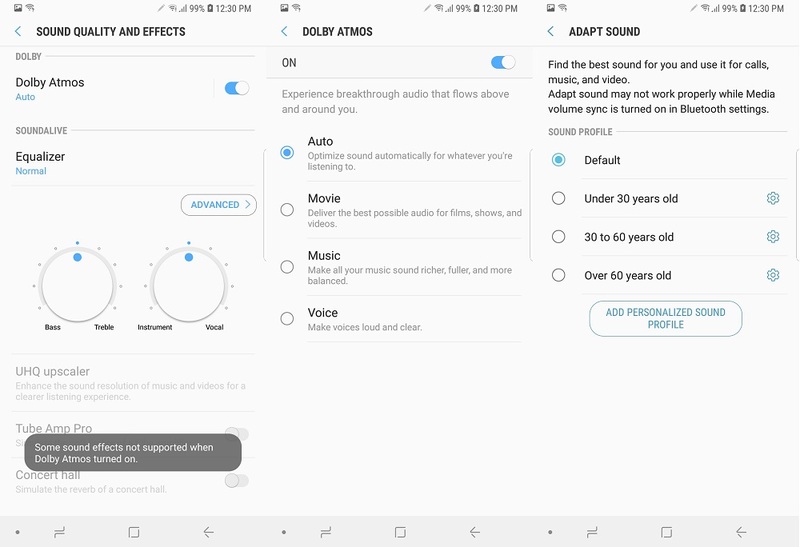 When it comes to audio, the Note 9 has Dual AKG speakers with Dolby Atmos that uses the loudspeaker and the earpiece at the same time for a stereo effect. Quality is really good for a smartphone. It’s loud and crisp, and should satisfy those who game and like watching videos on the go. It’s not going to match a Bluetooth speaker but it comes loaded with audio features like an Equalizer, UHQ Upscaler, and Adapt Sound which uses a sound profile based on your age. 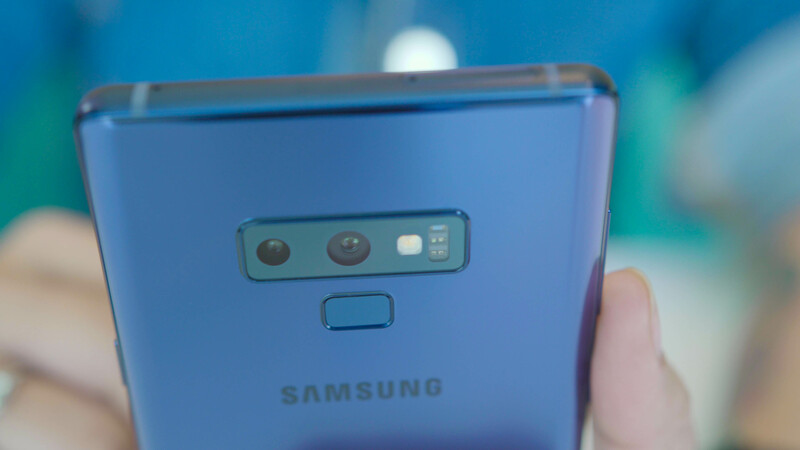 The Galaxy Note 9 is equipped with dual 12MP rear shooters, one with a wide-angle lens, while the other has telephoto. It also has AI capabilities with Automatic Scene Recognition, OIS, UHD 60fps, and 960fps video recording. For selfies, it is handled by the 8MP camera. 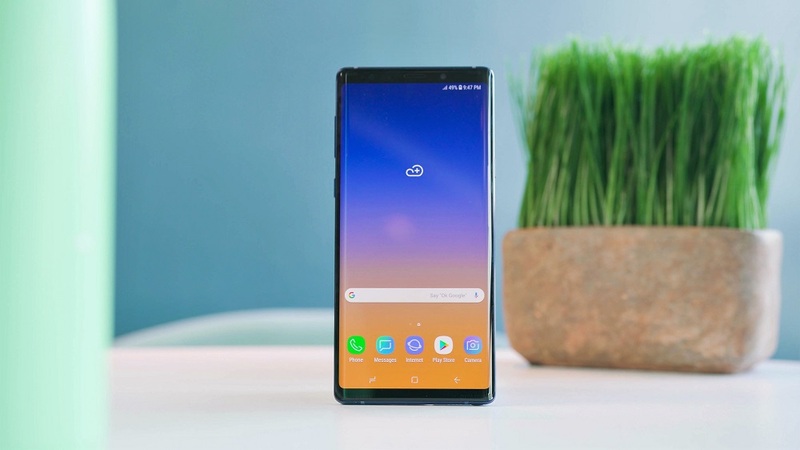 If the camera specs sound familiar, that is because they have the same camera hardware as the Galaxy S9+ but Samsung says that it comes with software enhancements to improve quality. Like with the S9, it comes with plenty of features like Panorama, Pro, Live Focus, Super Slow-Mo, up to 10X digital zoom, Selfie Focus, Wide Selfie, Face shape correction which corrects the shape of the face that appear distorted, and Flaw detection which notifies you when someone blinks or looks blurry in pictures. There’s the AR Emoji as well which analyzes the users face then creates a virtual avatar similar to what we’ve seen with the iPhone X’s Animoji feature. One of the things we like about the Note 9’s camera is it can work with the S Pen and uses it as a remote camera trigger. This is very handy if you’re taking selfies or when the Note 9 is mounted on a tripod and you need to trigger it from a distance. All you need to do is take the S Pen while in camera mode and press the physical button. We have nothing to complain about when it comes to quality. Shots come out sharp with great details, high dynamic range, and natural yet punchy colors. The combination of the two lenses can also produce nice and creamy bokeh effects. It’s not always accurate though as you will notice imperfections if you observe closely, but overall, the Note 9 almost got it right. Check out the samples below. The zooming capabilities is also impressive and can go all the way up to 10x digital zoom. And thanks to its video stabilization, we can shoot images and videos of moving subjects with relative ease. 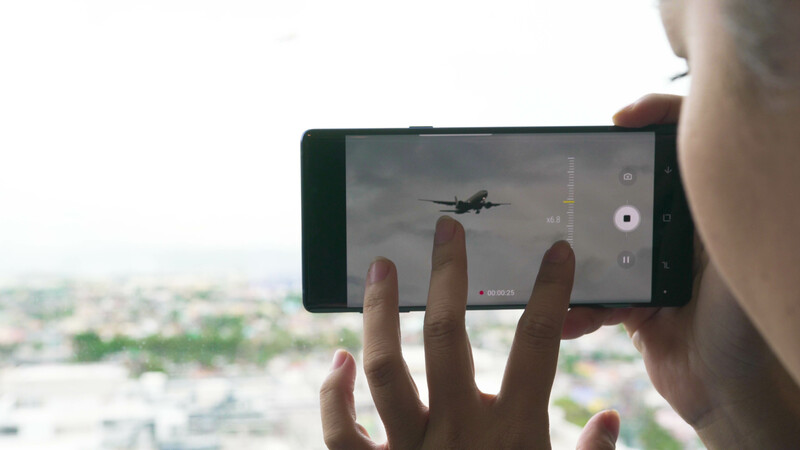 As for video recording, the Note 9 can shoot at a maximum of UHD (3840 x 216) resolution at 60fps in MP4 or HEVC format. Do note though that Tracking AF and video effects don’t work at FHD 60fps and above, while video stabilization isn’t available at UHD 60fps. Watch the samples below. 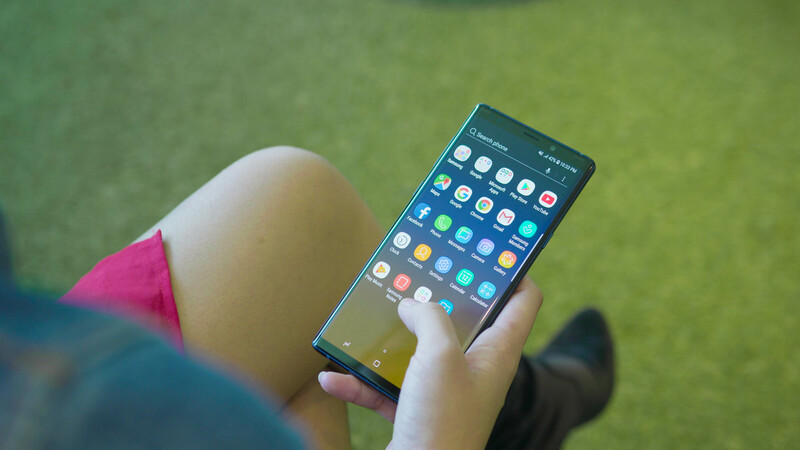 If you have used a Galaxy Note 8 or S9, then you will find the Galaxy Note 9 to be familiar as it uses almost the same interface which is Samsung Experience version 9.5 which is based on Android 8.1 Oreo. There are plenty of pre-installed apps mostly from Google, Microsoft, and Samsung. 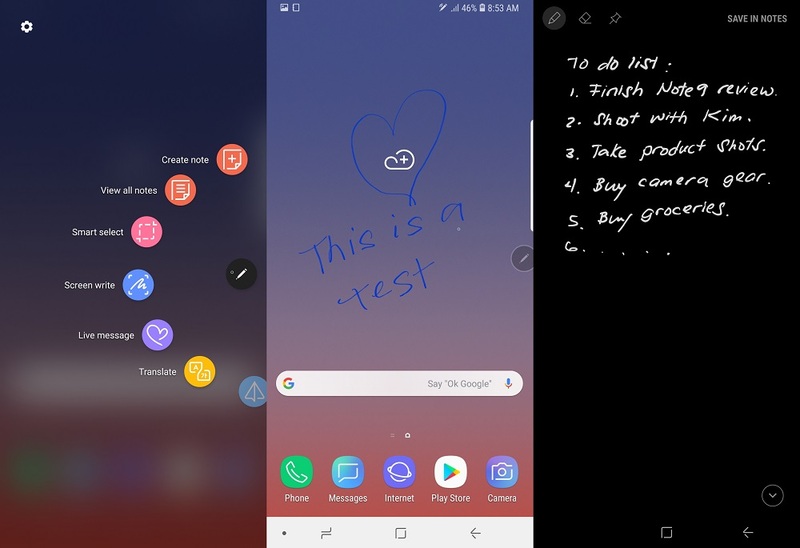 Like with the previous Note devices, the main features of the Note 9 come from the S-Pen. 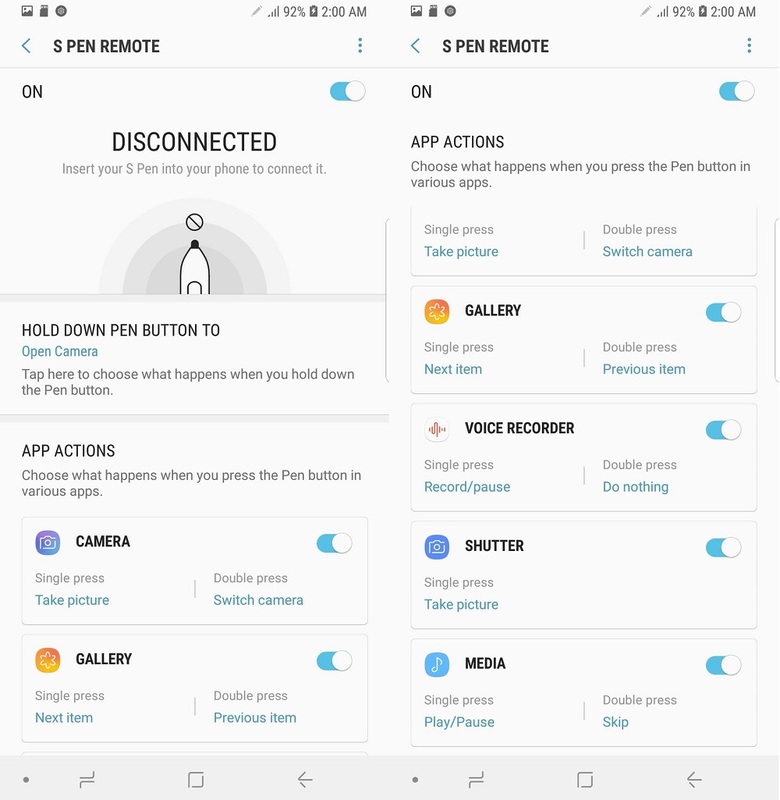 Pull it out and you will be greeted with the usual S-Pen options like Create notes, View all notes, Smart select, Screen write, Live message, and Translate, to name a few. 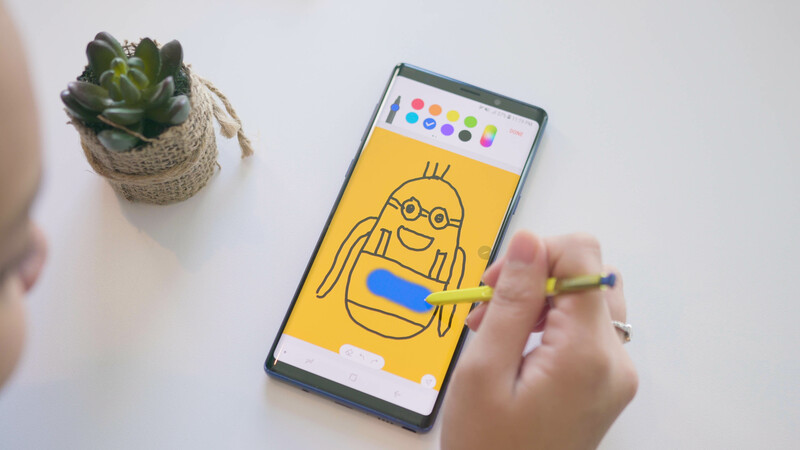 There’s also the ability to write on the Always On Display, it’s own dedicated app for sketching, and the S Pen Remote feature that lets you choose what happens to a certain app when you press the Pen button. 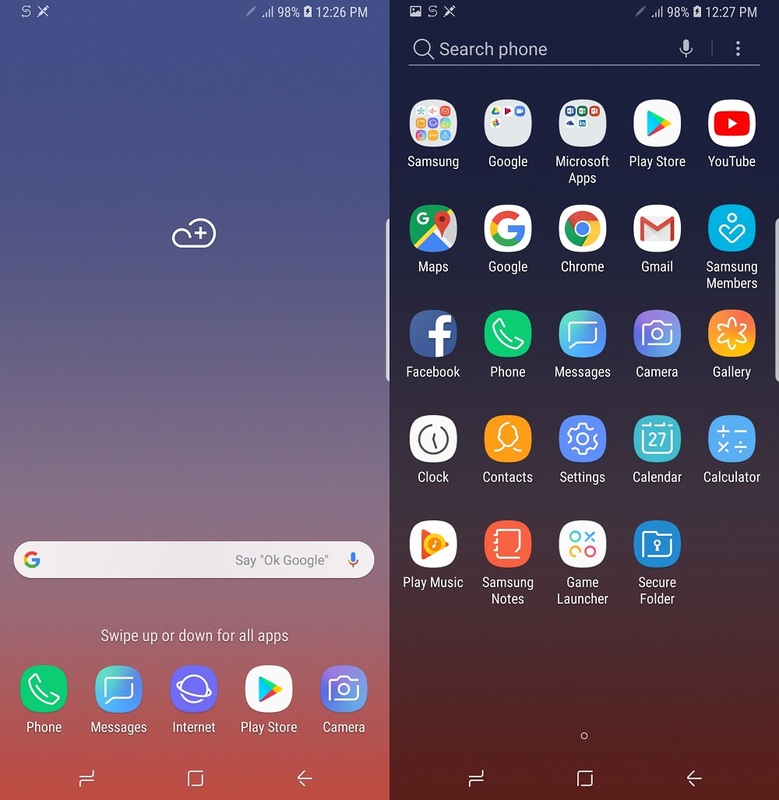 Other features found in its predecessor, the Note 8, are also found here, like the Edge Screen which serves as a shortcut access to the phone’s apps and features, Bixby virtual assistant which you can activate via its dedicated button, Dual Messenger so you can use two separate accounts for the same app, and support for Samsung DeX so you can connect a monitor, mouse, and keyboard, even without the help of a DeX Station, for maximum productivity. When it comes to storage, the Galaxy Note 9 gets a huge bump in storage with two options: 6GB RAM + 128GB storage and 8GB RAM + 512GB storage. In addition, both storage variants are expandable with support for up to 512GB microSD cards using the hybrid SIM tray. 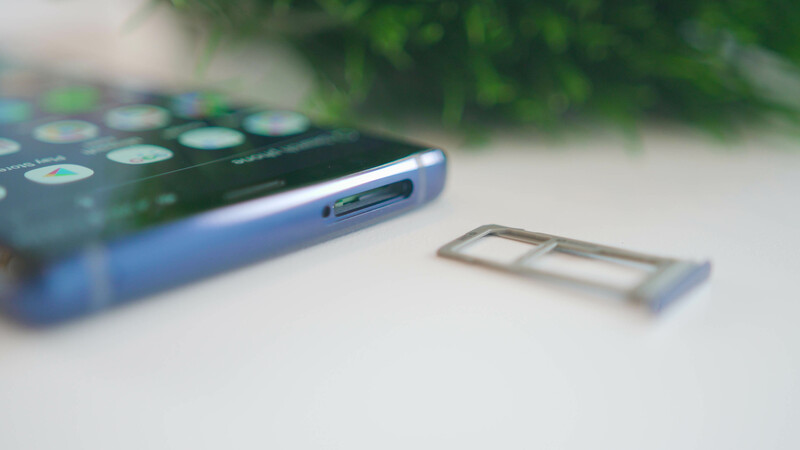 Powering the Galaxy Note 9 is the same chipset that is found on the Galaxy S9/S9+ which is the Exynos 9810 Octa, Mali-G72 MP18 GPU, and 6GB or 8GB of RAM. As expected, performance is great and can handle almost everything we threw at it including gaming. Check out the benchmark scores below. 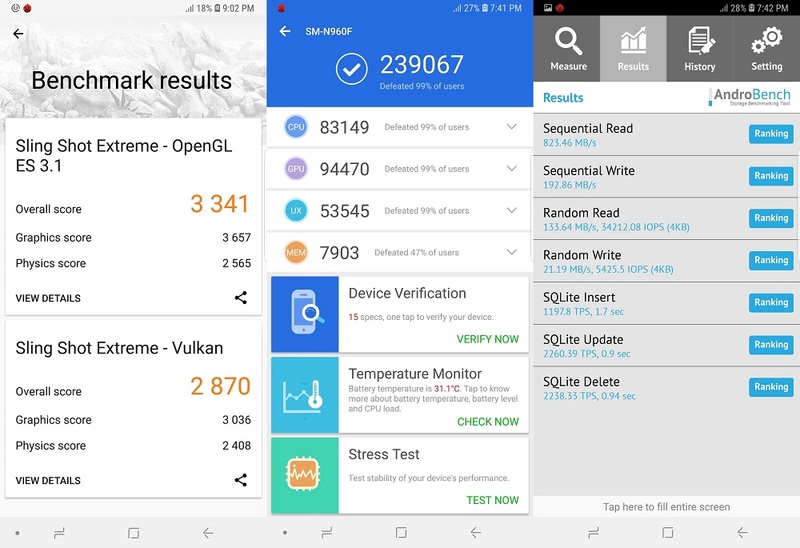 The scores are in the same league as the Galaxy S9/S9+ which is understandable considering that they sport the same chipset. What we noticed though is that it didn’t warm up that much when benchmarking and playing games which can be attributed to its new cooling system. The Note 9 has everything covered when it comes to connectivity features. It’s got 4G LTE Cat. 18 4×4 MIMO, WiFi 802.11 a/b/g/n/ac, Bluetooth 5.0, GPS, USB Type-C, and a combo of biometric features which includes the iris and fingerprint scanners. So far, we didn’t encounter any problems with these features and works as advertised. One of the disappointments in the Note 8 is its 3,300mAh battery. Good thing Samsung decided to give it a boost in the Note 9 at 4,000mAh which is a decent capacity for a smartphone of this caliber and size. It also supports fast charging and wireless charging. The battery can easily last us a whole day of mixed usage with enough left for the night. Based on our video loop test, it got us 20 hours of playback (vs 17 hours on the Note 8), which is good. Such upgrades though come at a price. 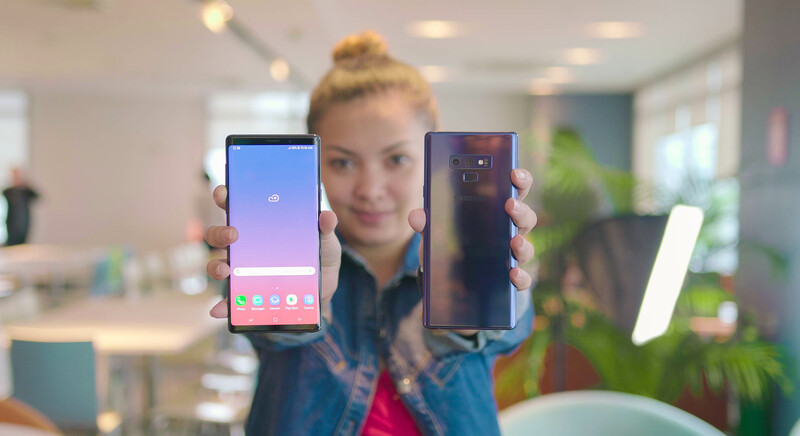 The Galaxy Note 9 starts at Php55,990 for the 6GB RAM + 128GB storage model, and Php75,990 for the 8GB RAM + 512GB storage. That’s some serious money that Samsung is throwing some serious freebies as well to sweeten the deal. It’s a powerful device, no doubt, but consumers will be more concerned on whether they have a budget for it or not. 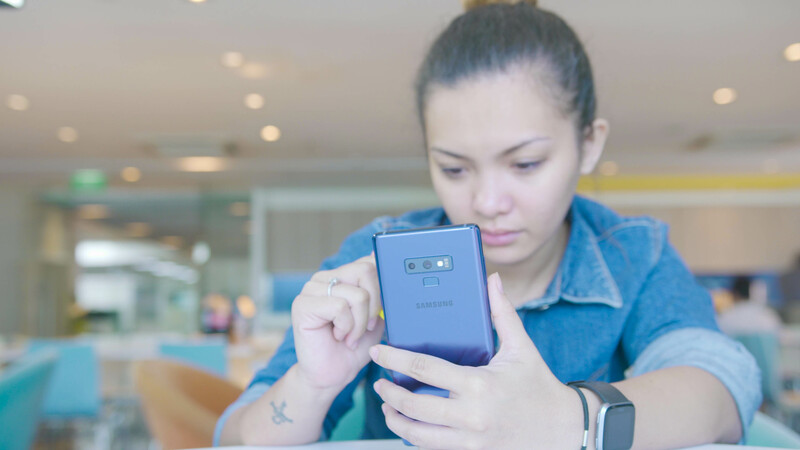 The post Samsung Galaxy Note 9 Review appeared first on YugaTech | Philippines Tech News & Reviews.